When the schedule came out, the matchup for Monday Night Football in Week Six looked like a great one. You had one of the brightest up and coming young quarterbacks in the game, Jimmy Garappolo, versus arguably the best in the business, Aaron Rodgers. Sounds like an offensive explosion waiting to happen, right? Then Garappalo had to go and suffer a season-ending injury and Rodgers has been dealing with a knee injury since Week One. So, it is safe to say that a little bit of the luster has been taken off this one. Injuries or not, the game must go on. 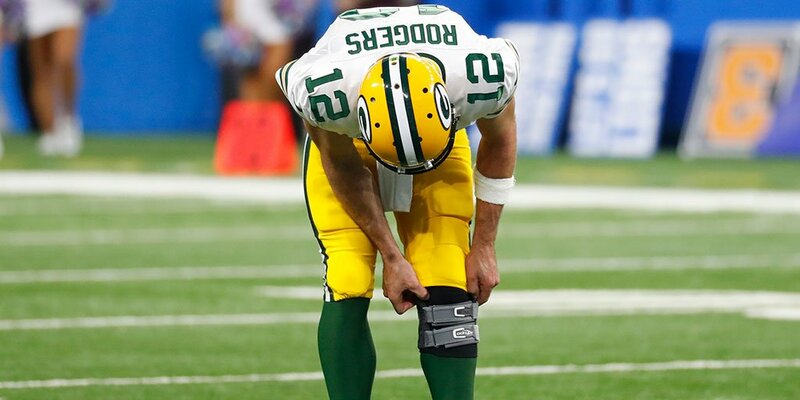 Rodgers may not be feeling the best, but you wouldn’t know it with how he has been playing. So far this season he has completed 63 percent of his passes (131-208) for 1,572 yards and ten touchdowns. Most importantly, he isn’t making many mistakes—just one interception. But the issue in Green Bay has never been the passing game. For years they have struggled to run the ball and still do (19th in the league; 101.2 yards a game). That, along with trouble on third downs, in the red zone, and too many penalties have the offense underperforming overall. Through Week Five, they are 18th in scoring with an average of 23 points a game. They have yet to score 30 points in a game this season. But there is a good chance they will not need to in order to get the win this week. The 49ers defense is better than it has been in recent years (11th in total yards allowed per game). But they are still giving up way too many points (29.2 per game; 29th). They aren’t bad against the pass (15th; 254 yards a game). But then again, in Rodgers, they are playing against one of the best. On offense, they haven’t done poorly with Beathard under center. The problem has been turnovers which have led to points for their opponents the last two weeks. If they were to eliminate the mistakes (i.e. turnovers) their chances of winning would go up greatly. Green Bay has only forced six turnovers this season, so they may be in luck this week. But just to make things a little more challenging for Beathard, he may have to work without his running back, Matt Breida, and potentially up to three of his starting offensive line. This game is going to start slow as it will take a little time for both offenses to figure out what they are going to be able to do. More than likely, the Packers will give up on trying to establish a running game and just let Rodgers do what he does best. It will take him the first half to really get in sync with his receivers. But when the second half rolls around, this one is going to get ugly. Green Bay is a 9.5 point favorite; they’ll win by double figures, easy.